Smooth, graceful lines, texture, shine and a pearl! Flamboyant and showy, this pendant can be worn either side. 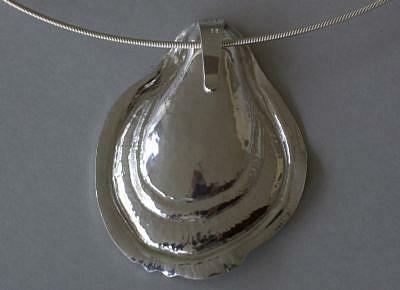 This pendant is done with the repousse technique and began life as a flat sheet of silver. Punches and hammers stretched and cajoled it into this shape inspired by oysters. 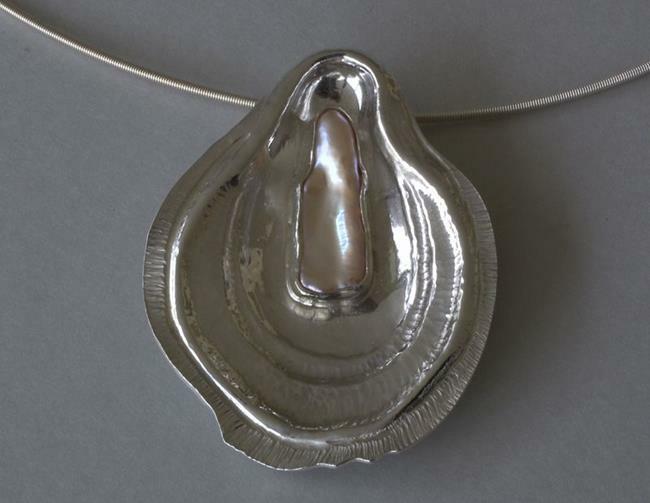 Like oyster shells, this pendant is one of a kind.